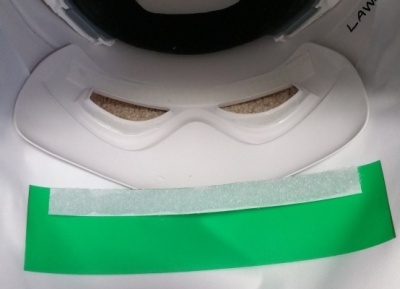 I’ve been keeping a more detailed account of the progress on my snowtrooper costume build on the Blizzard Force forums (registration required), but I’ll post the occasional update here as well. I’ve gathered almost all the materials I need to make the entire costume, and I’ve been gradually working on various bits. It’s been a bit of a challenge to find some of the parts required to make a screen-accurate costume, but I’ve managed to get almost everything. 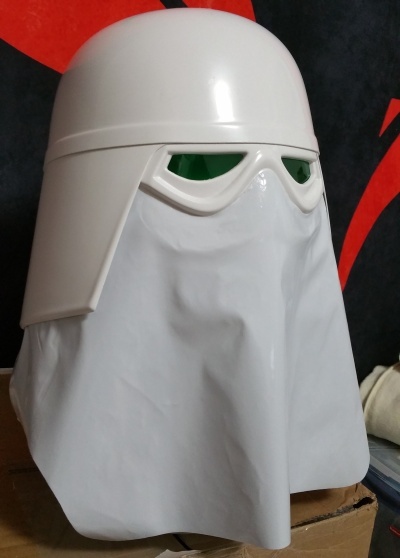 I just have to add weathering to make the helmet look used. I also need to rig up some fans on the inside to keep cool. Other than that, it’s ready to show. 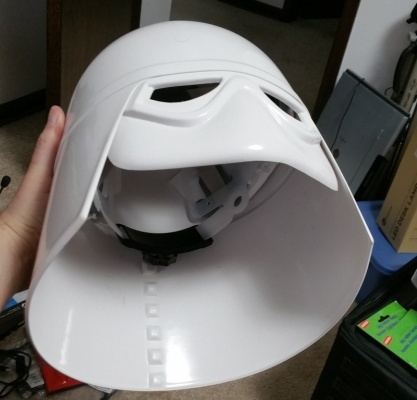 The first thing I did was to make the helmet actually wearable. On the inside I mounted a suspension harness from a cheap hardhat that I picked up. 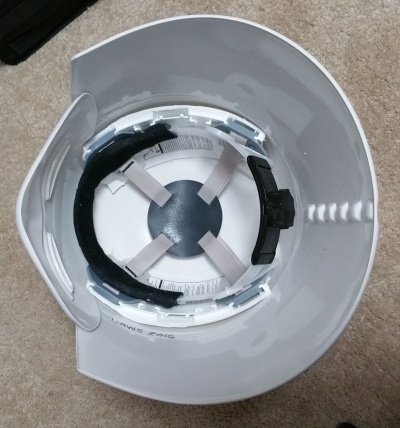 The apparatus is affixed to the interior of the helmet with velcro so that it can be entirely removed, if necessary. 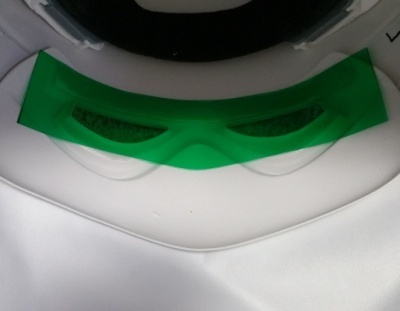 The helmet wears like a safety hat now. After that, I glued both halves of the cowl on and attached a small metal disc to the top (just screen-accurate decoration). Inside, I attached the lens material with velcro for easy replacement. The next two major parts I’m working on are the armored belt and the boots, the latter of which I received in the mail the other day. I’ve been having some trouble with my two small sewing machines, which has put a delay on my progress. 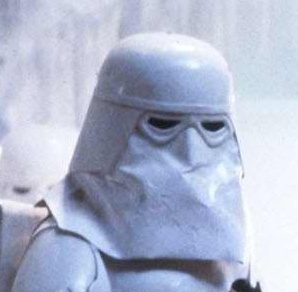 This entry was posted in All Things Don, Star Wars, TV & Movies and tagged snowtrooper. Bookmark the permalink. Very nice! I look forward to seeing what it looks like when complete!